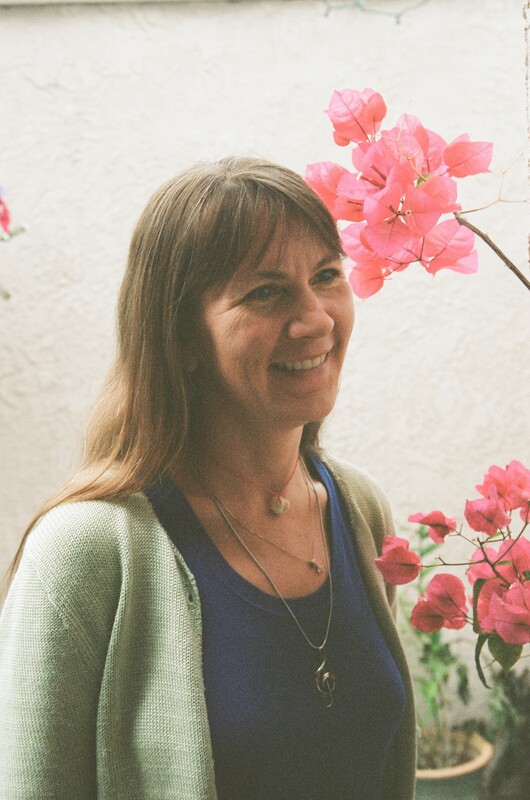 Irena Praitis is a professor of literature and creative writing at California State University, Fullerton. A Pushcart Prize nominee, she was a Fulbright Scholar in Vilnius, Lithuania and has published two collections of verse, Touch (Finishing Line Press) and Branches (D-N Publishing), and a book of biographical prose vignettes, One Woman’s Life (Diversion Press. She also co-wrote Still Life (Calder Wood Press), a collection of translated works by Lithuanian poet Sonata Paliulyte. Her latest collection of poems, Straws and Shadows, debuted this July from Moon Tide Press. I’ve known Irena for seven years, the same amount of time I’ve known my husband!, and I consider her my first and most beloved poetry mentor. Ask anyone who’s taken her creative writing and literature classes at CSUF, and they’ll tell you there is no professor like Irena. Before I met Irena, I saw myself as someone who wanted to be a writer and a scholar, but I didn’t completely believe in myself. After working with her on my Master’s Project–a collection of poetry–I saw myself as a writer and colleague, as an equal–and this is saying something because Irena has published prolifically and earned major awards. In many ways, then, I see Irena as my poetry mother. And I’m so thankful for her continual support and guidance as she’s taken me through my writing “childhood” and has waved me on my journey to continue growing and developing as a writer. Over the past few years, I’ve had the chance to read and offer feedback to early drafts of some of her most recent poetry collections, Straws and Shadows and One Woman’s Life, two deeply affecting books drawn from her Lithuanian family’s experiences during WWII. The mother figures in her writing are written with such nuance, such strength and startling clarity. For example, when the Germans begin bombing the speaker’s home, in a vignette from One Woman’s Life, the speaker “huddle[s] down with the children, pulling couch cushions over [them],” and “[f]or some strange reason, in all that noise, in all that fear,” she says, “a song [comes] to [her]… and she “start[s] to sing with [her] children” (92). In another vignette, after immigrating to Colombia, South America, the speaker teaches her daughters to butcher and skin male calves, and when they complain about not liking the work, she asks them “if they like poverty better” (205). As life would have it, Irena and I each gave birth–she to her son Ishaan, and I to my daughter Adelina–within one month of each other. It is an honor for me to share the following interview, in which she meditates on how motherhood has reshaped her writing life in surprising ways and what she learns everyday from her baby boy. I guess I don’t even think of these as separate. Everything I do is everything I do. I’m living—parenting, cooking, teaching, writing—all the time. When I meditate, or exercise, or write, or parent, or teach I’m hopefully becoming a better mother and writer and human being. To be a bit more specific, playing with Ishaan, my son, opens me up to the beauty and intricacy of the world and also makes me newly aware of the complexities of thought and language. As he’s learning his numbers, he’s showing me what an incredibly complex process it really is. As he’s asking me to read him a book, his concentration makes me aware of how much there is to notice in any given moment. When we sit together quietly, he shows me how much can be conveyed by presence and just being. He repeatedly makes me realize all the ways that we come to be and how amazing the journey of our lives is. The easy way to answer this question is to say yes to both, but it’s a bit more complicated, really. I was writing before I ever really decided to be a writer. I wrote poems in grade school almost as soon as I learned to write and it was always just something I did. Then, in college, I decided that I was too juvenile as a writer and stopped. Luckily, my writing was wiser than I was. It took a five year hiatus and then showed up again one day while I sat in traffic stopped at a red light. The poem hit me and insisted on being and the writing has continued ever since. As a child, I always assumed I would have a family. Then, as I entered adulthood and my life kept not following the usual parameters, I wondered if I should have children. I stayed in a state of limbo for a really long time, wondering if I should and wondering if I shouldn’t. I thought about it from all kinds of perspectives. Then, one day, I realized it’s just not that kind of a decision. There isn’t a way to logically reason it out or to skeptically determine a truth about it. You just decide to have a child and move forward. I stopped waiting for the perfect circumstances and started to make the life I hoped for and wanted. 3. Has your writing changed at all since motherhood? If so, how? Yes, my writing has definitely changed. And I hadn’t thought about it much until I just read your question. My earlier work was very much about the self—what was a self, closely associated with my self, feeling, seeing, thinking. The work I’m doing now is almost exclusively persona work. I think that having Ishaan has opened up my capacity for empathy tremendously. It’s not about me anymore. This is not to say that I’m not in the picture—I am, but I think I’m much more aware of how I’m just one part of a much bigger, more dynamic, more amazing picture. 4. What role does poetry play in your life? In what ways can poetry help/support/foster relationships for women writers and mothers in particular? Poetry is incredibly important to me. I read poetry. I read poetry to my son. He has now started reading poetry to me as the books he’s best able to memorize are often the poetic ones . I teach poetry. I write poetry. Poetry is around me all the time. It enriches and inspires me. I’m amazed and moved by what I read. It keeps me looking outward to others and to life. It keeps me moving when I wonder how I’m going to keep going. Poetry offers up the best empathetic work of the imagination and inspires us to continually take the large generic categorizations of our society and return them to an “I” am talking to “you” dynamic. That intimacy, the I/you dynamic of verse, brings friendship, responsibility, compassion, and care. People need other people. Women need other women. Writers need other writers. Mothers need other mothers. Poetry offers the interstitial cohesion for all of those associations. 5. Would you speak to your experience as a single mother, writer, academic, professor? Before I was pregnant, I realized I had no idea how I was going to be a mother and also do my work. When I was pregnant, my family worried about me, wondering how I was going to get everything done. I still worry, sometimes, but overall I’ve learned that worrying about situations simply takes energy and strength away from doing what needs to be done. If you think in terms of limits, you will be bound by them. I love everything I do. I love reading with Ishaan and playing with him. I love teaching. I love writing. Because I love what I do, I’m always able to be where I need to be with it. And let me also say that even though I’m working and raising a child on my own, I am not alone. I get wonderful support from friends and family. I am also incredibly fortunate to work in an environment that allows me flexibility at work. 6. Did you continue writing while you were pregnant? While your son was newborn? Do you think writing will become any easier or more difficult once your son is school-age? I didn’t write new material when I was pregnant. I was doing some late revisions on a book that was published a few months after Ishaan was born. I wrote poems almost every day the first six weeks after he was born. I moved in an ideal environment in which all I needed to do was take care of Ishaan, take care of myself, and write. That’s how it felt, anyway. I needed to work through a lot of the social pressures I was feeling regarding parenting when he was first born. Writing was the best way to work through those pressures. I’ve looked at all of those poems once since I wrote them. I don’t know if I’ll ever send them out anywhere. I might just save them for Ishaan, for when he’s old enough to read them. He can then decide what happens to them. When he turns school age, I’m sure my writing will be different and I’m sure that I’ll still be doing it. I think the challenges of writing will always be what they are–how to make the language sing, how to effectively convey thought and emotion. Those challenges will always be there regardless of what else is going on. So, I think writing will be the same in its challenges as Ishaan grows, but I will also grow as a writer as my relationship with him grows. 7. Have you ever felt that your work might not have been taken seriously if it explored issues of motherhood? I’ve never really thought about it. I’ve always felt that I should write what I’m called to write. I think there are readers out there who can be dismissive of just about any topic. Or, they’ll be dismissive about a particular style. Or, they’ll be dismissive for some other reason. If I’m called to write something, I know that who ever needs to read it will find it–even if that reader is no one other than myself. I do have to say, though, that I tend not to recognize myself in the motherhood writing I’ve come across. I don’t mind that. Everyone parents uniquely, but yeah, I don’t often recognize myself in the mother images that I see on the page. 8. Have you found that there are particular challenges facing mother-writers than those of other writers? I think there’s probably a bigger possibility for feeling guilt. Writing is very important to me. Being there for my son is very important to me. There are times when those two facets of my existence separate in such a way that they collide. I might want to finish a line or write down an image while my son is calling to me. I have found, these first two years of my son’s life, that there is indeed room and time for everything–the time might not be when I think it is or should be, but it’s always there, sometime in the day. Now that I know that, I don’t stress about putting writing down and picking my son up. I know that what really needs to be written will find a way to be written. Patience! I wish I had more of it! But I think it’s hugely important for a writer and probably especially for a writer who is also raising a family. We’re so accustomed in this culture to have everything right now exactly the way we want it. Writing isn’t like that. Writing happens when it needs to on its own schedule. If we add the schedule of parenting to that, then sometimes writerly ideas and hopes feel like they’re on the back burner. But simmering intensifies and strengthens flavors. I think I’m a better writer now than I have ever been. I know when to write. What to put aside. What not to waste my time on, and how to focus intensely. I’ve learned that from being a mother. So, I guess I’ve learned to realize that what might initially seem like a delay, or a rejection, or a hindrance is in actuality a call to intensify, to focus, and to make the most of all I have. Everything in our lives can be an invitation to write and to write better as long as we’re willing to recognize it as such. I’m working on another book of poems. I’ve written a handful so far, and need to keep feeling my way through the subject matter. Almost all of the poems in this book will be spoken from the perspective of men. That’s an entirely new angle for me. I guess having a son has helped inspire me to move in such a direction. I can’t thank you enough for the inspiration you’ve offered in my writing journey. I wish you all the continued success and joy you so deserve on your own writing and mothering journey. inspiring interview…..irena is wonderful and this is so clearly manifest here in her comments,,,,,, strong and sensitive…..